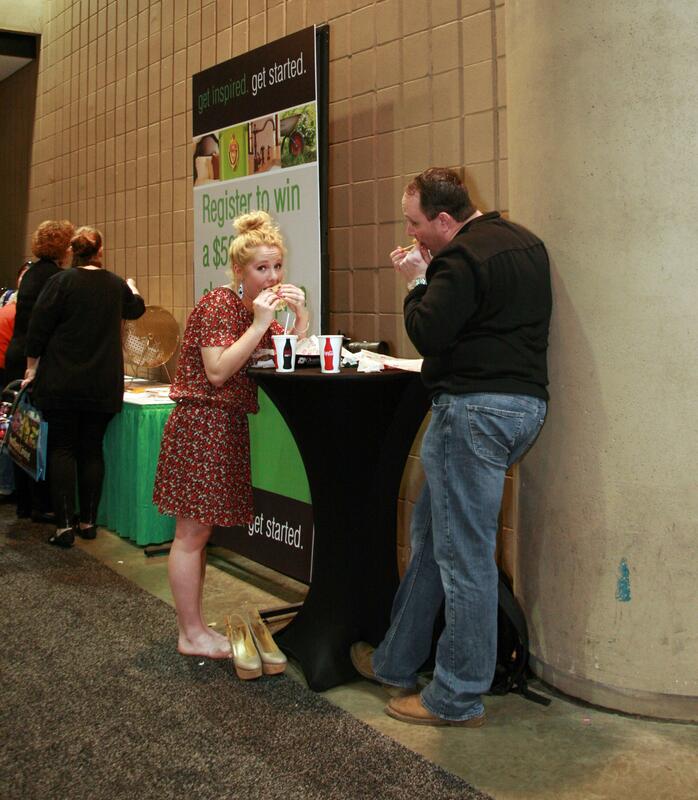 The Birmingham Home and Garden Show 2014 was four days jammed pack with celebrity guests, food tastings, inspiring outdoor displays, local vendors, and MORE! Can you believe it? 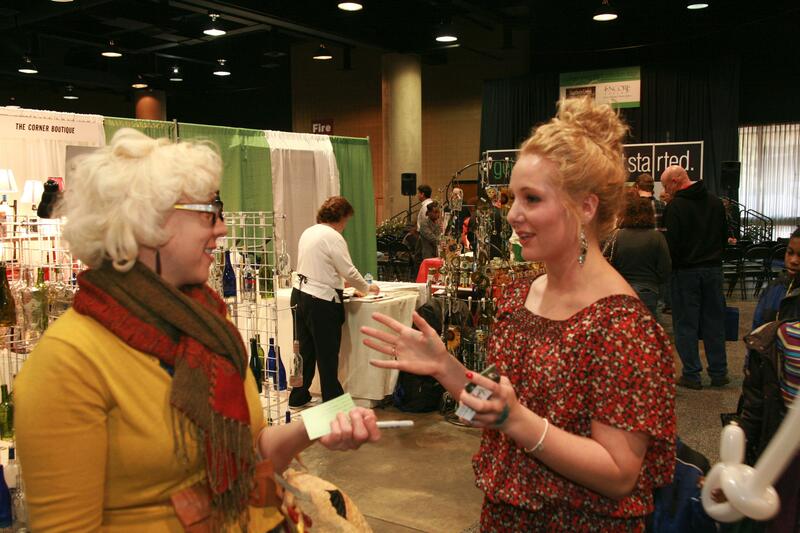 All of that fabulousness in downtown Birmingham at the BJCC [Birmingham-Jefferson Convention Complex]! 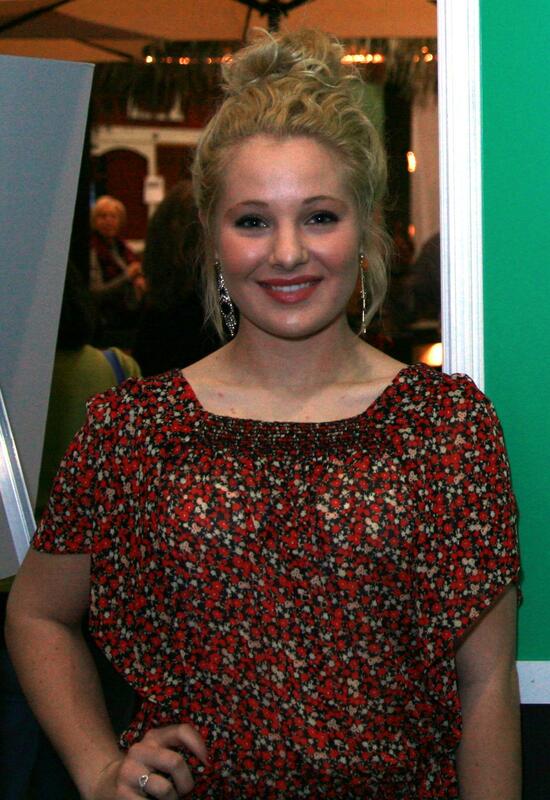 I attended the Birmingham Home and Garden Show on Saturday, February 15, and the turn out was amazing. There were so many people here, there, and everywhere chatting with local vendors, sampling food at the Western Supermarket Pavilion, and snapping iPhone pictures of the awesome garden displays. 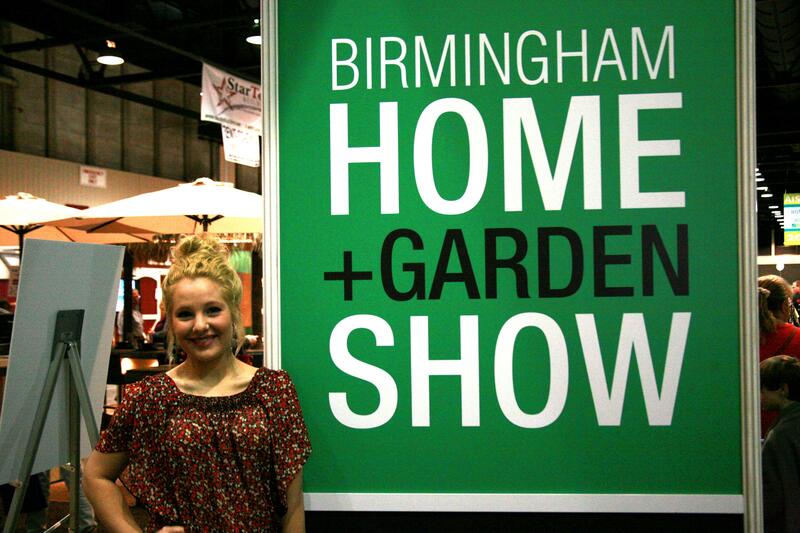 Oh, the Birmingham Home and Garden Show is the place to go! 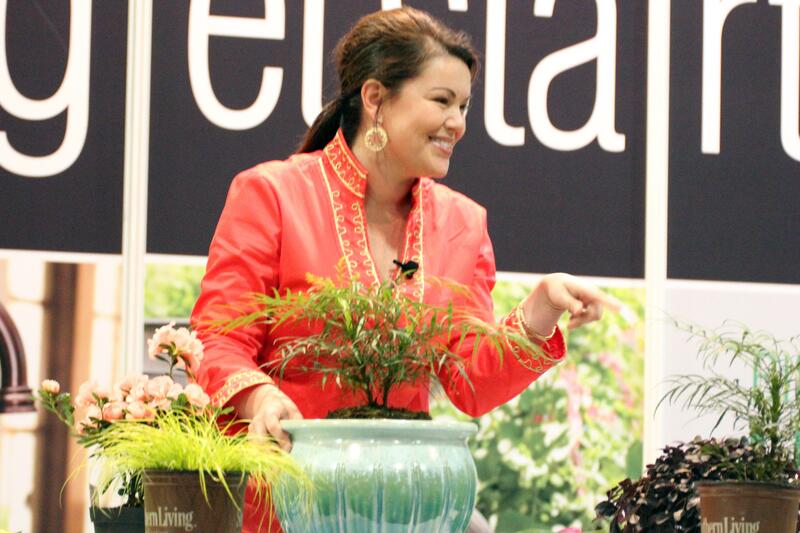 Carmen Johnston presenting Southern Living Plant Collection’s expert decorating tips for 2014. Wow! 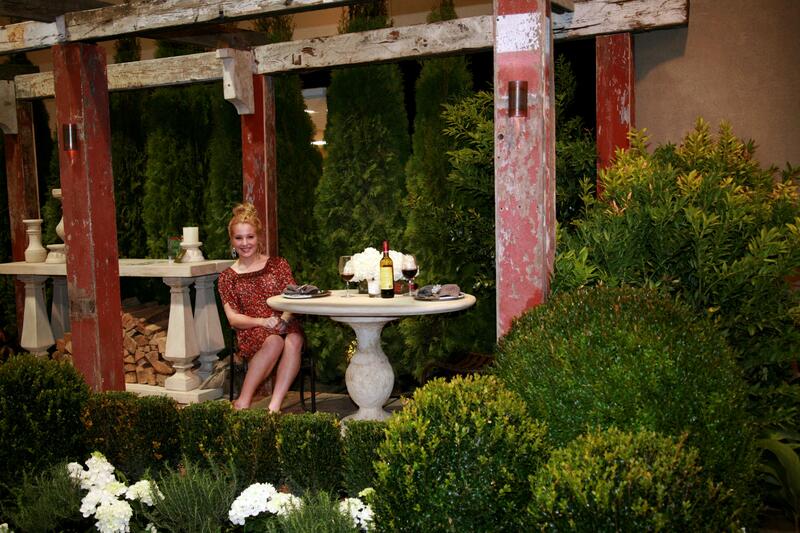 Carmen gave me some great ideas for decorating the small green space of my future apartment. 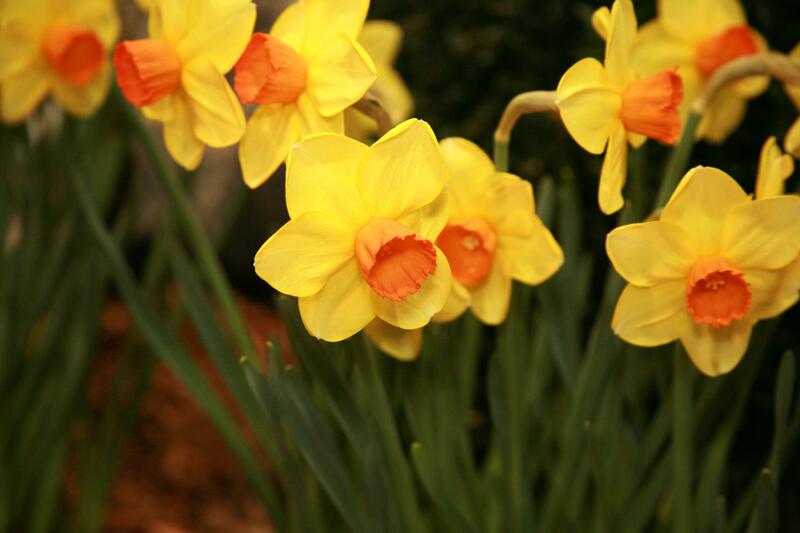 Ah…daffodils! 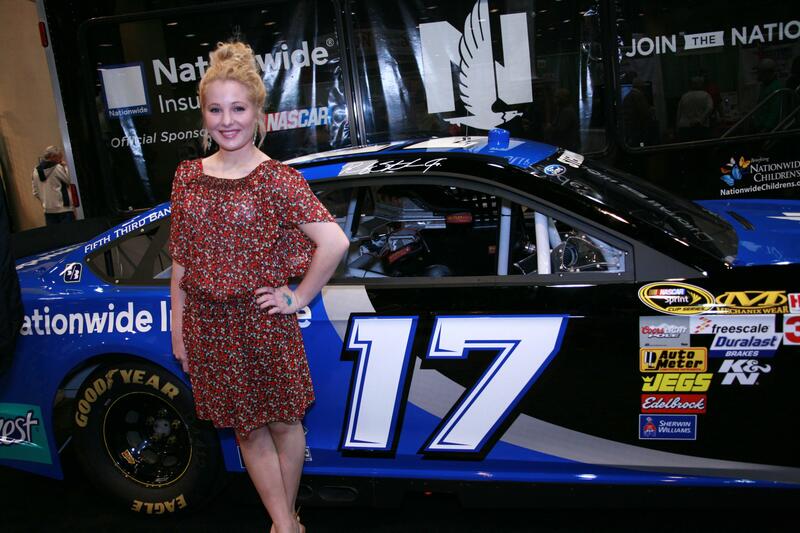 Spring is in the air…. 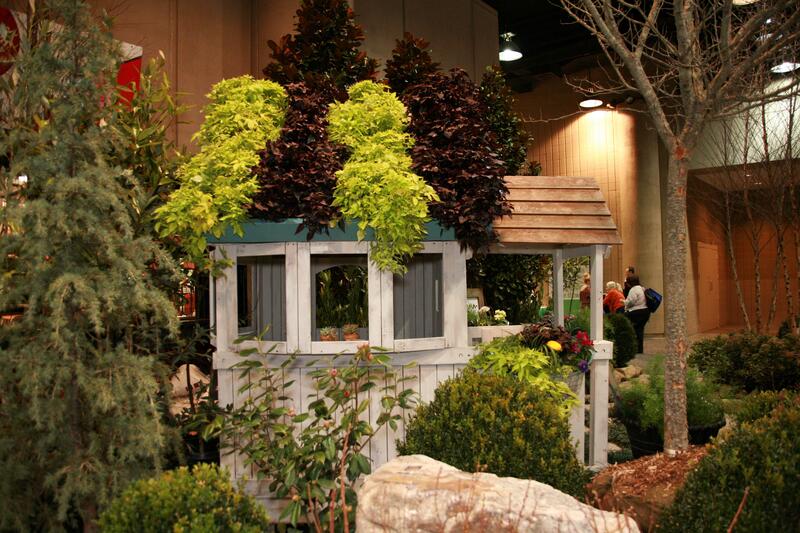 Love this backyard idea! So cute and colorful! Ooo another “paparazzi” shot! 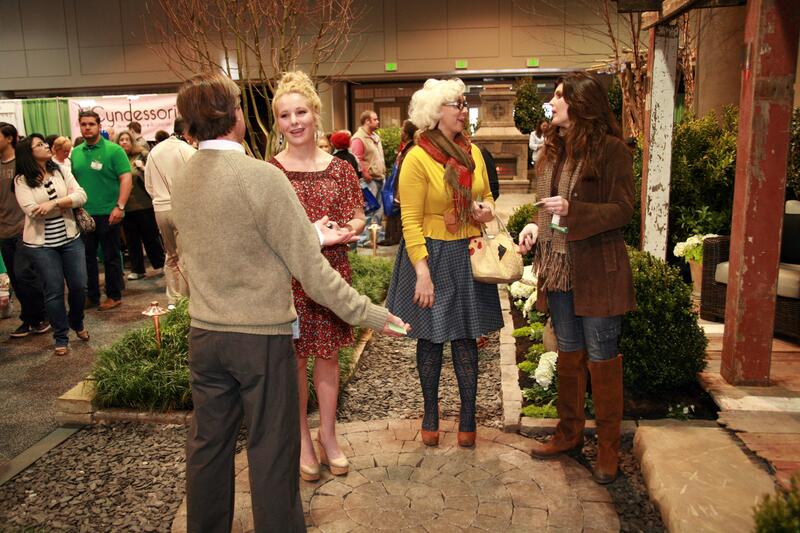 The VIP and Emily Ellyn chatting with Father Nature Landscapes about their awesome display. 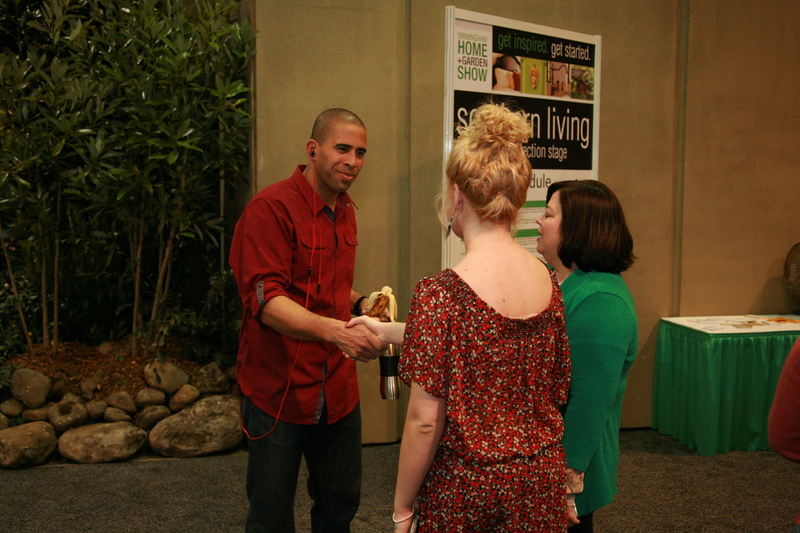 Ahmed Hassan giving his presentation at the Birmingham Home & Garden Show 2014. 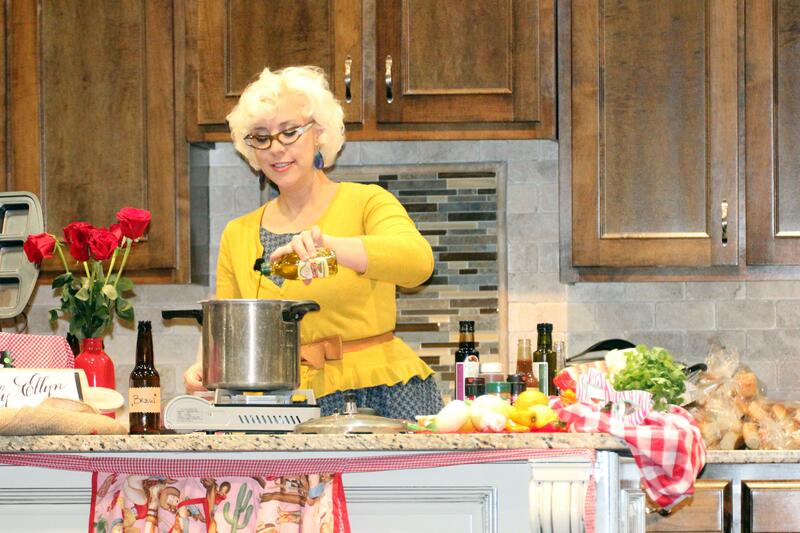 Emily Ellyn cooking up a storm at the Birmingham Home & Garden Show 2014. 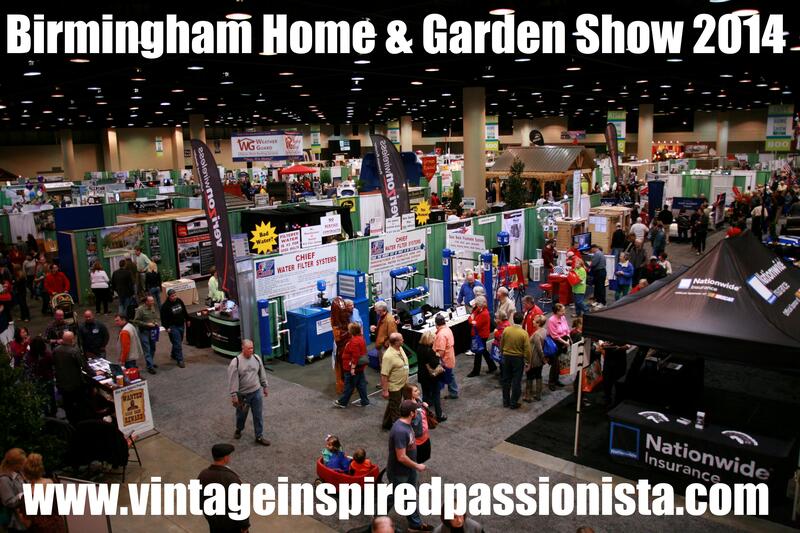 For more information about the Birmingham Home & Garden Shows, please visit www.birminghamhomeandgardenshow.com. 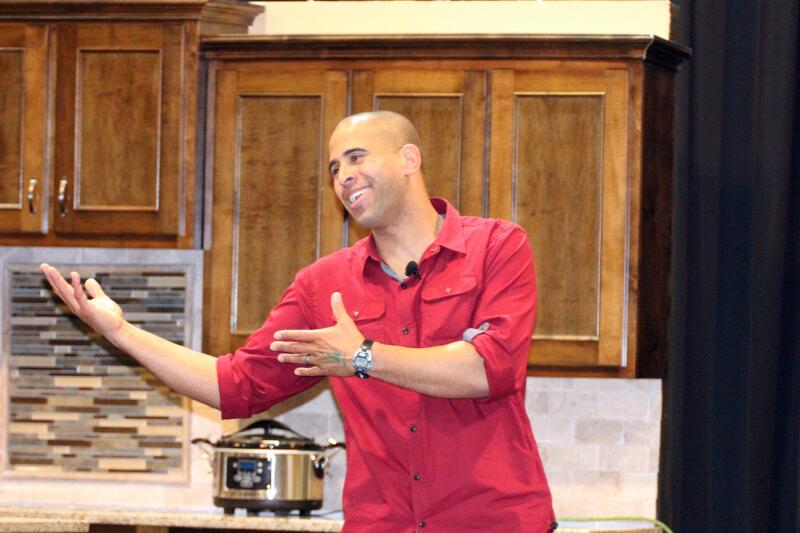 Stay tuned later today for the VIP Interview with Ahmed Hassan! Yay!